Individuals have been required by federal law to purchase health insurance for themselves and for their dependents since Jan. 1, 2014. The rule remained the same under the Affordable Care Act (ACA), at least through the end of 2018: Individuals who didn't have health insurance for one or more months during the tax year would have to pay an additional tax called the individual shared responsibility payment, also referred as as the Obamacare penalty...unless they qualified for an exemption. That changed on Jan. 1, 2019. Taxpayers were required to note on their tax returns whether they had complied with the terms of the ACA up until Feb. 16, 2017, or they could claim an exemption. The Internal Revenue Service would automatically reject tax returns that did not include this information. This changed when President Donald Trump issued an executive order allowing federal agencies to effectively go easy on Americans with regard to Obamacare. The IRS responded that it would no longer automatically reject returns that were missing this information. In other words, disclosure became voluntary. And if you didn't make the disclosure, who was to say that you owed the penalty? Then the IRS abruptly reversed direction in October 2018, making an announcement that it would indeed reject tax returns that did not include the disclosure. New life was breathed into Obamacare penalty, at least in 2017 and 2018. Then came the Tax Cuts and Jobs Act (TCJA). 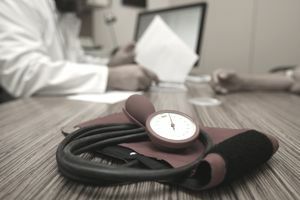 When President Trump signed the TCJA into law on Dec. 22, 2017, the reform once again took aim at the Affordable Care Act and its associated penalty. The TCJA repealed the penalty effective January 2019. The TCJA does not remove your liability for carrying insurance. As of 2019, the Affordable Care Act is still alive and well. It remains in full force and effect. The only change is that you no longer have to pay a penalty if you don't carry health insurance. You won't have to come out of pocket if you don't qualify for any of these exemptions. This applies to the tax return you'll file in 2020 for the 2019 tax year. You'll still have to qualify for an exemption when you're preparing your 2018 in 2019 if you don't want to be hit with the penalty, so it can pay to know what they are and to understand the rules that apply to each. Persons who are members of a religious sect with conscientious objections to insurance do not have to carry insurance or pay the penalty. These conscientious objectors must obtain an exemption certification issued by the Health Insurance Exchange. You must be a member of and adhere to the teachings of a religious sect that is "conscientiously opposed to acceptance of the benefits of any private or public insurance which makes payments in the event of death, disability, old-age, or retirement, or makes payments toward the cost of, or provides services for, medical care," according to Internal Revenue Code section 1402(g)(1). You might already have applied for and received an exemption from Social Security and Medicare taxes for religious reasons, but you must apply separately for exemption from health insurance. Visit the Centers for Medicare and Medicaid Services' website and fill out their application for a religious sect exemption if you believe that you qualify. The sect must have been in effect since Dec. 31, 1950 and be recognized by the Social Security Administration. Persons who are members of a health care sharing ministry are exempt as well. These individuals share medical expenses among themselves as members of the ministry. You can either submit a sharing ministry exemption application to the Centers for Medicare and Medicaid Services, or you can claim it when you file your 2018 federal tax return. Nonresident Aliens and Persons Not Lawfully Present in the U.S. This doesn't mean you're not physically residing in the U.S., although there's an exemption for that, too. It means you're not here legally because you're an illegal alien. Nonresident aliens are also exempt. Prisoners are exempt from the shared responsibility payment if they're incarcerated after the disposition of the charges against them. In other words, they don't qualify if they're in jail pending trial. You can either claim this exemption when you're filing your federal tax return, or you can submit an application for an incarceration exemption. The application is available on the Centers for Medicare and Medicaid Services website. If the cost of health insurance is unaffordable for you—by IRS standards, not necessarily in your own estimation—you're exempt. The federal government considers that health insurance is unaffordable if the cost exceeds 9.56% of your household income in 2018. This increases to 9.86% in 2019. You're exempt from the Obamacare penalty if your income is below the filing requirement threshold. You're not required to file a tax return in the first place, but you can indicate your exemption on the return if you do. The threshold depends on your filing status. As of tax year 2018, it's generally equal to the amount of the standard deduction you're entitled to: $12,000 for single taxpayers, up to 18,000 for heads of household, and $24,000 for those who are married and file a joint return. The limit is slightly more for those who are age 65 or older or blind. Native Americans are exempt from the shared responsibility payment provided that they're registered members of an Indian tribe. You had medical expenses you couldn’t pay in the last 24 months which resulted in substantial debt. You experienced another hardship in obtaining health insurance." Submit an application for a hardship exemption to request a waiver. It's available on the Centers for Medicare and Medicaid Services website. Hardship waivers remain in effect only for the calendar year in which you apply for an exemption, so if your circumstances continue beyond the current tax year, you'll have to apply again. Persons who did not have health insurance coverage, but the lapse was for less than three continuous months, are exempt from the shared responsibility payment. If the coverage gap lasts for three continuous months or longer, however, none of those months can be used towards the exemption. Only the earliest short-term gap qualifies if there are several gaps during the year. It's considered a coverage gap even if you don't have health insurance coverage for just a single day during the month. Here's an example: Daniel has health insurance from January 1 through March 2. He isn't covered by health insurance again until June 15th, and he remains covered under this new health insurance policy through the end of the year. Daniel's coverage gap consists of the months of April and May (two months). March and June are not included in the number of gap months because he was covered by a health plan for at least one day during those months. Since Daniel's coverage gap lasts less than three months, he will be exempt from the shared responsibility payment due to the short-term gap exception. Citizens and Resident Aliens Residing Outside the U.S.
Citizens and resident aliens living abroad are exempt from the health insurance mandate and won't be penalized for not having health insurance. An American living abroad is exempt from the shared responsibility penalty for each month that he's either a bona fide resident of another country, or if he meets the physical presence test for that month. Both the bona fide residence test and the physical presence test have the same meaning as when used in the context of the foreign earned income exclusion. Residents of the American territories of Guam, American Samoa, the Northern Mariana Islands, Puerto Rico, or the Virgin Islands are not required to obtain health insurance and are not subject to the shared responsibility penalty, but they must reside at least 183 days a year in these territories. Individuals can report which exception applies to them using Form 8965.